The chances that this happened only one day after it’s opening release March 29, is no “accident” I’m sure. 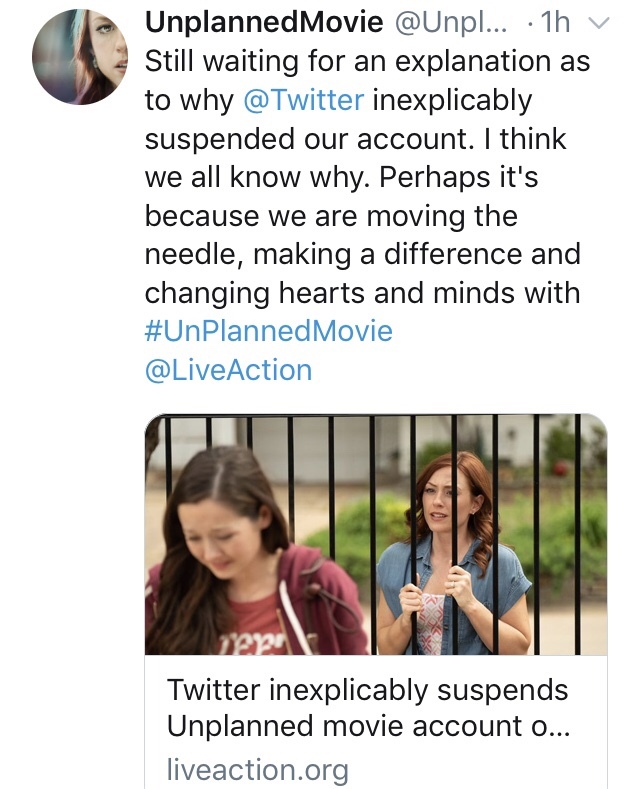 “Unplanned” tells the true life story of a former Planned Parenthood clinic director, that quits after witnessing something at the clinic that changes her mind about abortion forever. 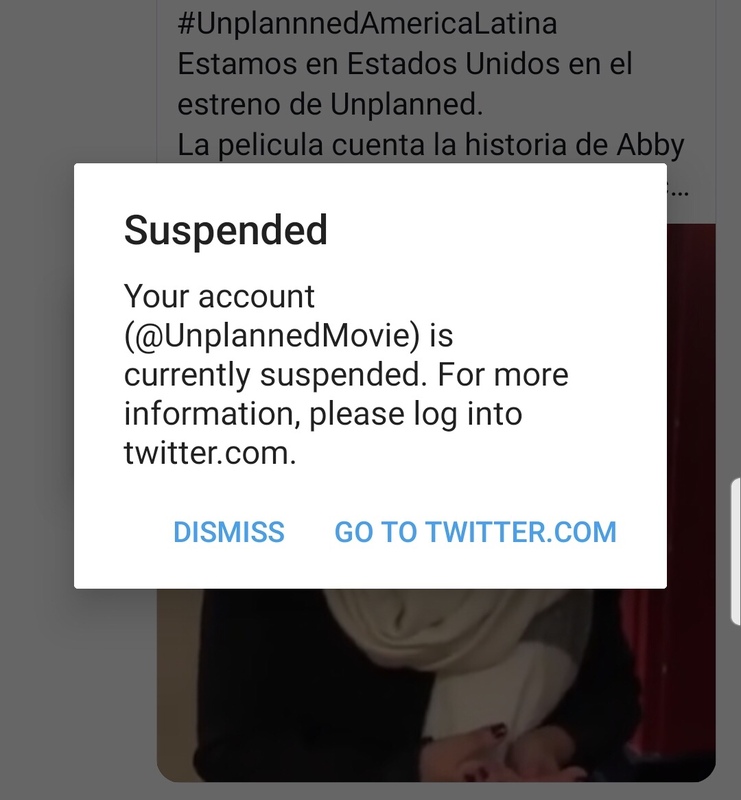 Admins on the account were not given any reason or notifications of any violations of community standards or terms of service…the account @UnplannedMovie was simply suspended without explanation. 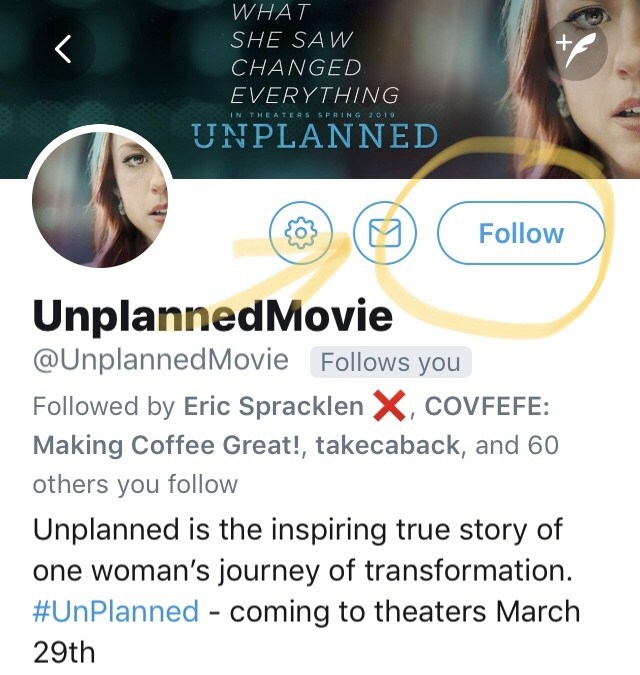 After much appeal and online public outrage, the official account for the film has been restored. An apology or explanation for the suspension, has yet to be given. Thank you to everyone that was vocal and helped get this account back online. 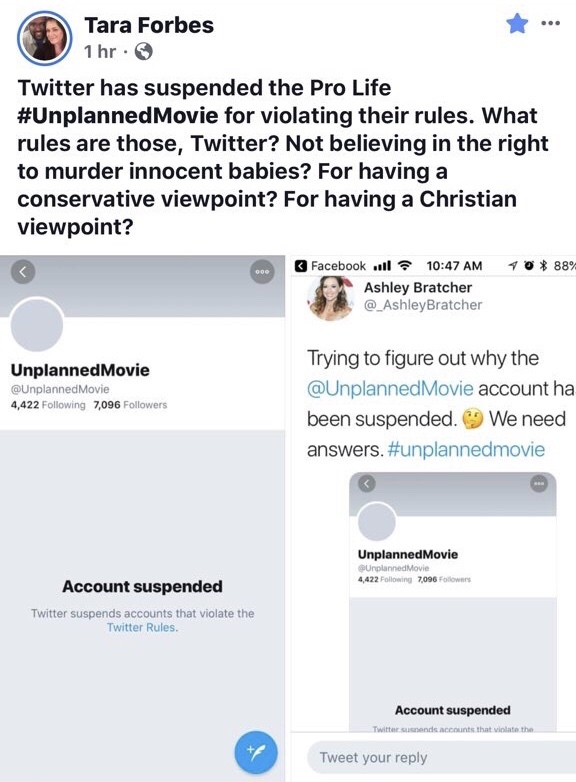 We will continue to have to rally around each other as a community, as social media bias toward conservatives only seems to worsen.